The skipper who sails while listening to Enya is a very different guy from the old school captain who blasts through the waves to the sound of Megadeth. Music can do a great deal to improve a particular atmosphere or make an experience memorable, and this is also certainly true of yachting. Here are some ideas to get you thinking. Perhaps you’re a Volvo Ocean Race competitor, and if so – stop listening to music and get a move on! But many of us skippers are just looking for music that properly complements an intimate evening for two. Dinner, wine, some slow dancing, a few laughs – and everything else that goes with it. There are a number of artists out there that would be excellent in this situation, but one artist that many people mention is Marvin Gaye. Any of his albums would be an excellent choice really, or even just one of the many “greatest hits/best of” compilations that are available. For those who aren’t sure which artist to choose or would prefer a variety of artists then there are many compilation albums available that are directed toward romantic evenings. They may seem cheesy at first, but when you’re on a yacht the romance can just start to flow. Worth it. Often people rent a yacht because they want to party on the water. The kind of music will add to your day/evening will vary greatly based on the ages and preferences of you and your guests, but one thing we’ve noticed is that the 80s tend to be a good bet. Weird choice? Perhaps. It must be the water’s magical effect, but as superficial as much of that music has been described as being, it seems to transcend many boundaries. Hall & Oats are still popular; Michael Jackson’s solo work from that period too. Advise your guests on safety procedures while listing to “The Safety Dance” if you’re looking for a few drunken laughs. That should do the trick. Perhaps you just want some nice background music as you cruise around with family or friends.J azz is usually perfect for these moments – but choose something accessible.H highly recommended is the Miles Davis album “Kind of Blue”. It’s the bestselling jazz album of all time, and for good reason. It’s incredible on a musical level but it also has a much wider appeal than most jazz albums do. People who generally say they hate jazz still tend to enjoy this album. Let’s say you really are in the Volvo Ocean Race. What kind of music you should listen to? Arguably, you should be keeping your ears open and alert, but if you’re just that crazy, then hard rock is your answer.AC/DC is a good choice. Listening to those opening chords of “Back in Black” will get you pumped up and ready to rock. With the right rock music, you’ll feel like you are about to break the sound barrier. 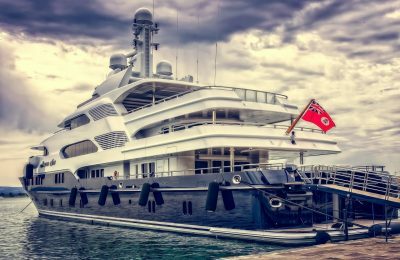 Music can enhance or destroy the mood on your yacht, so make your selections carefully!